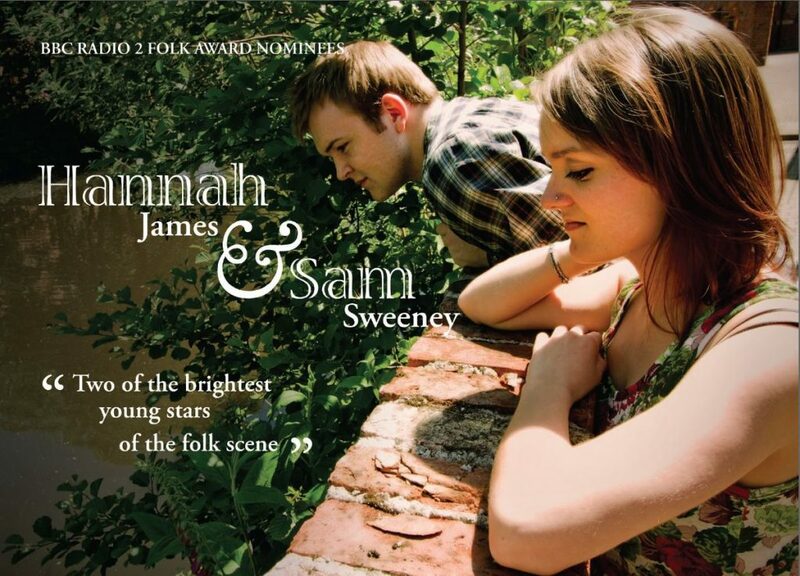 The first concert took place on Friday 4thNovember 2011 with “Two of the brightest young stars of the folk scene” – Hannah James and Sam Sweeney. 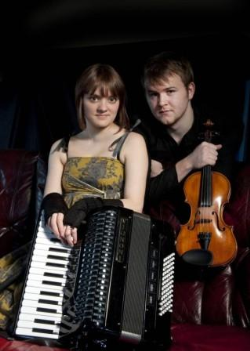 Hannah and Sam have been playing together since 2002 and were at that time probably best known for their work in Kerfuffle and then as individual members of the Demon Barber Roadshow, Bellowhead, Fay Hield Trio and Jon Boden’s Remnant Kings. Forming officially as a duo in 2008, they released their first album “Catches and Glees” in 2009 and were nominated for the Horizon Award at the 2010 BBC Folk Awards. Since the release of their album, Hannah and Sam have toured nationally, played festivals across the UK and received radio play internationally. They play predominantly English songs and tunes on accordion and fiddle and the live show includes Hannah’s renowned clog dancing. 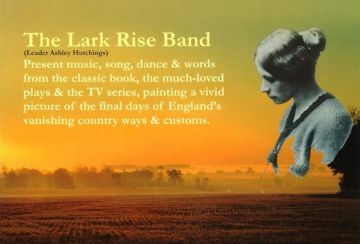 A music adaptation by Ashley Hutchings’ Lark Rise Band featuring Ashley Hutchings, Simon Care, Judy Dunlop, Ruth Angel and Mark Hutchinson. This concert presented music, words, dance and song from the books and the original plays, celebrating a lost way of life so memorably captured by Flora Thompson in her books Lark Rise to Candleford and Candleford Green. 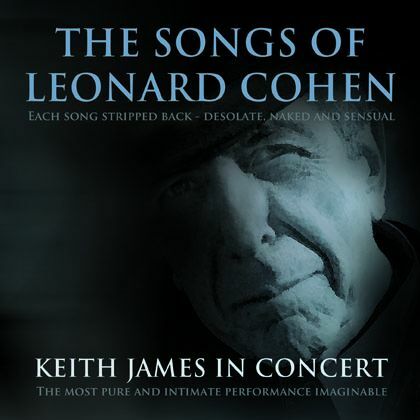 Part of a mammoth 63 date UK tour for Keith James featuring the songs of Leonard Cohen.